TempleTerrace home located in the heart of the community. The charming front porch is the perfect place to view the well landscaped front yard. 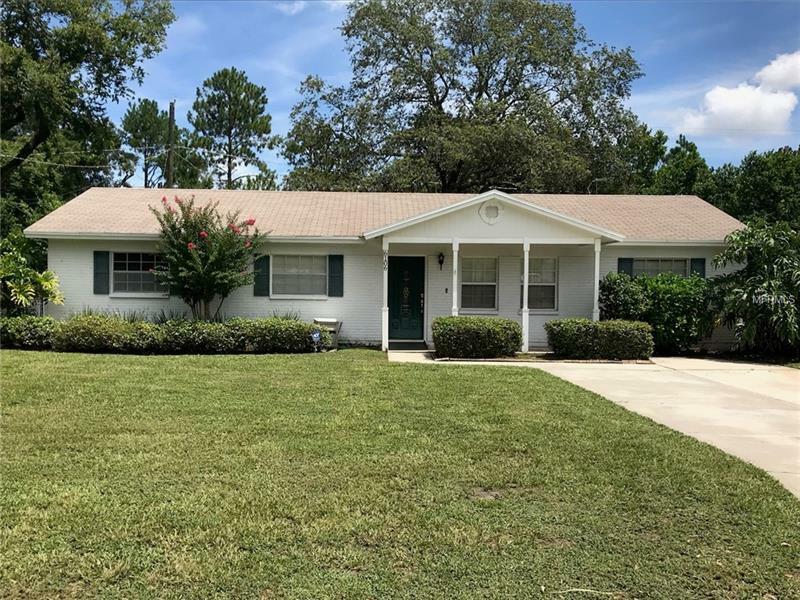 This lovely property contains: 2 bedrooms 2 bathrooms with a study that can serve as a third bedroom..To dream the affordable dream, this home exhibits the prestige of a formal living room with Plantation shutters and the comfort of a spacious floor plan. The sizeable family room has French doors that enter into a large screened in patio that overlooks the peaceful serenity of a well manicured backyard. The large master suite has plenty of natural lighting and a spacious wall closet. Outside entertainment is a must with the large screen patio. It is perfect to relax with your morning coffee, or your favorite evening beverage. The fenced yard is perfect for pets while maintaining privacy. Patio contains a room with storage space. Other outstanding features include: FIOS cable available, owned security system and water softener. Within close proximity is the community Center with a large pool, water park, tennis courts, workout room, basketball courts and much more. TempleTerrace Golf and County Club is just minutes away. Complimentary 3 month social membership to the Country Club after closing. Home is located close to schools, shopping, restaurants, interstates I-275, I-75 and I-4. USF and Florida Hospital are located close to the community. Make this "affordable dream" a reality today! Come see for yourself how this home can add value to your life!